South Africa: Is there any hope? YOU'RE READING South Africa: Is there any hope? Hlumelo Biko, son of Steve Biko, takes a candid and deeply sobering look at the state of our nation as it was, as it is and as it should be. Only a dramatic, imaginatively crafted intervention – a massive redistribution programme managed by the private sector, far-reaching policy changes in schooling, housing and health, and better, disciplined governance – will deliver the genuine liberation South Africa’s still-poor millions expected from the 1994 settlement. Without it, without the real promise of a free, meritocratic society, South Africa will flounder and fail as corruption, crime, social decay, hopelessness and anger engulf society. This is the compelling thesis of Hlumelo Biko’s hard-hitting, thoughtful analysis of South Africa’s past, present and future, a sobering assessment of where we stand today, and where we need to go. At once unnervingly candid and inspiring, The Great African Society demolishes the complacent optimism that underpins much soft thinking about South Africa’s future and places at the service of public debate practical, achievable objectives for business, government and civil society. Thanks to the publishers, we've got an exclusive extract below. Societies in peril such as Libya, Tunisia, Zimbabwe, Venezuela and Egypt may differ in terms of how they metamorphose from relative socio-economic prosperity and promise to full-blown socioeconomic meltdown, but there is a common feature. Somewhere along the way, citizens in these countries lose faith in the prospect of a better life for themselves and their children: all they see is extreme protracted injustice that they believe will be irreversible without some sort of revolution. The causes of that injustice are varied. They usually involve a political party or individual leader overseeing a parasitic state that doles out patronage in exchange for sustained political power. This often escalates to levels of violence against citizens which were previously unthinkable as the despot becomes more and more brutal in the quest to repress dissent. Sometimes a common enemy is found in the form of an ethnic group, foreigners or a foreign power. At other times a less-defined group of so-called ‘counterrevolutionaries’ are identified as scapegoats. This targeted enemy is one that focuses the frustration of the masses and usually galvanises support for further divergence from democratic norms that would ordinarily necessitate a rotation of holders of power. 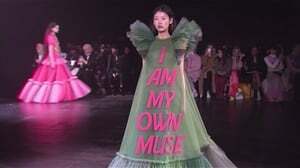 These are societies that are home to talented citizens with deeply unfulfilled ambitions, to whom at some point the prospect of armed warfare, violent revolt or non-violent populist revolution behind a ‘liberating figure’ may be more bearable than the perpetuation of a blatantly unjust order. The collateral damage suffered by all during the process of revolution is usually underestimated until the true costs are tallied up in the cold light of day. It is not unusual to hear elites from these societies reflectively wishing they could have actively avoided the meltdowns. The challenge is the degree of difficulty in generating and sustaining societal buy-in to spread fundamental fairness in the current system – for all citizens, and in good time. All social systems are in a perpetual state of rebalancing competing economic interests. Great societies meet this challenge (often more than once); societies in peril do not. The divide is that simple. As complex as the factors for societal meltdown may seem from the outside, the commonalities can usually be reduced to a monopoly over political and economic power by a small elite that usually sustains this power through corrupt social networks underpinned by military protection. This often results in a centralisation of power that isolates the powerful from the rest of society, creating an ‘information bubble’ not penetrated by the reality of everyday life in those societies. The slide from normality to peril is often undetectable to many elites living in the country – until things have gone beyond the point of no return. If one looks at a country like South Africa, for instance, the signs of looming peril are hidden behind a robust economy, producing moderate but consistent growth. These signs of peril are obscured by a dizzying level of infrastructure spend that continues to ensure that the first-world aesthetic quality of South African infrastructure is maintained and further enhanced. Even certain ratios such as the percentage of GDP spent on education or health give analysts a false sense of comfort about the level of social harmony being generated by current government policies. To this day there are many well-informed senior businessmen who continue to believe that South Africa is fundamentally sound in its current social construction. Sure, there could be more done by the government, such businessmen often say, but by and large the country is poised to go from strength to strength, just as long as government sticks to sensible macro-economic fundamentals – meaning keeping inflation low, national debt manageable and instituting pro-business policies that can allow business to generate job growth. when he said: ‘I can predict when SA’s “Tunisia Day” will arrive. Tunisia Day is when the masses rise against the powers that be, as happened recently in Tunisia. The year will be 2020, give or take a couple of years.’1 The governing party naturally went into defensive mode, accusing Mbeki of being a counter-revolutionary, having an agenda or carrying anger towards the ANC. His comments sparked a series of articles around the sustainability of South Africa’s development path, but the topic of whether we are headed into peril has not been adequately probed. The fragility of the South African society lies in a single formula. How long does it take the system to generate economic growth fast enough to get unemployment below or close to 10 per cent and in so doing pull at least another 10 million people out of poverty? Moeletsi Mbeki thinks that the current system does not have the ability to increase manufacturing and industrial capacity to competitive global levels based on structural inefficiencies inherited from the imperial/apartheid model. If one takes this quote at face value, the implication is that South Africa is ‘bandaging’ the true severity of its 25-40 per cent (depending on whether you believe government sources or independent data) unemployment. The soft underbelly of the country’s social fabric therefore lies in its reliance on the continued passivity of the nearly 16 million people supported by the government grant system. Featured with permission from Jonathan Ball Publishers, this extract is taken from The Great African Society by Hlumelo Biko. For more information about the book, you can visit Jonathan Ball Publishers' website. 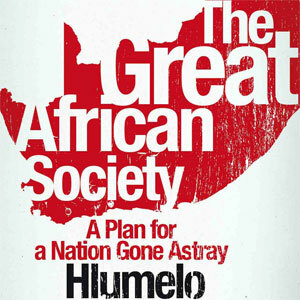 Visit Kalahari.com to purchase a copy of The Great African Society.